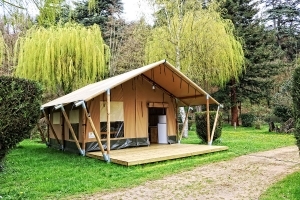 In the heart of southern Burgundy, halfway between Dijon and Lyon, the 3 star campsite located in Azé is located in a quiet and green environment: 77 sites of 100 m² each spread over 2 hectares of flat and shady ground, swimming pool heated including two basins remade for nine and locker rooms (...). 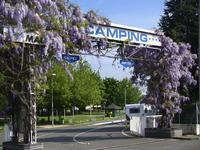 The Leisure centre of Cormoranche-sur-Saône welcomes you for a day or a stay in our 4 star campsite. All is joined for your leisure and relaxation. 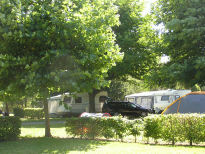 Between Bresse, Burgundy and Beaujolais, the campsite of Port d'Arciat has 160 spacious pitches on grassy and largely shaded grounds. 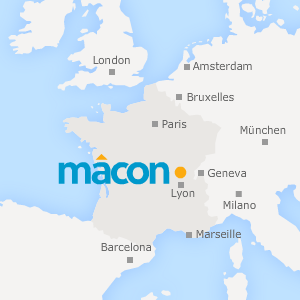 The campsite offers you a peaceful environment on the banks of the Saône, while remaining close to the main roads (exit A6 Mâcon south at 5km). At the gateway to the Mâconnais region, the campsite * * * * of Mâcon, adheres to the charter "Camping Qualité", is located in a green environment, on the banks of the Saône: 266 pitches on 5 hectares of flat and shaded ground, heated swimming pool , games and sports areas, recreation room, (...). Set amid green rolling hills on the banks of a lake, the campsite has three separate swimming pools offering something for every taste. It offers the ideal place to rest and relax with family entertainment laid on. For nature lovers, (...).